AT RETROLAND VINTAGE I SELL READY TO WEAR VINTAGE. GARMENTS ARE CLEANED BY EXPENSIVE VINTAGE SPECIALISTS, WRAPPED IN TISSUE SO THEY DO NOT WRINKLE. 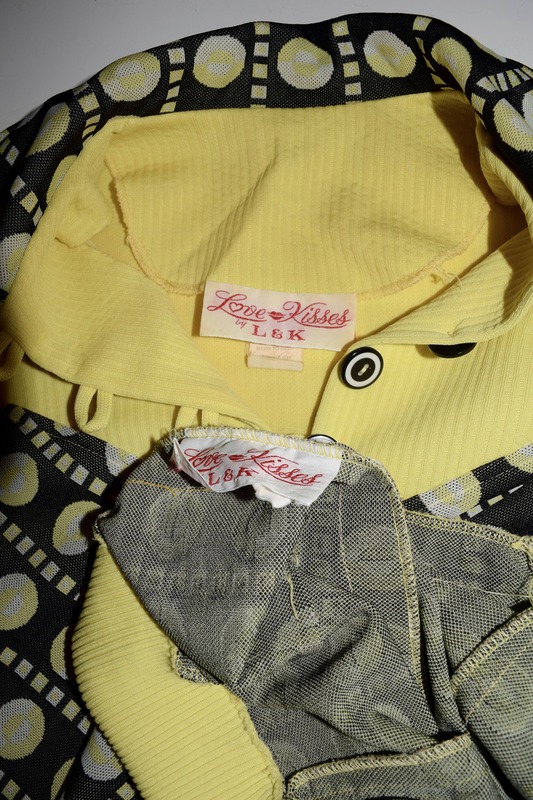 MY STORE PROVIDES A NEW APPROACH TO THE WAY YOU RECEIVE YOUR COLLECTIBLE VINTAGE GARMENTS. 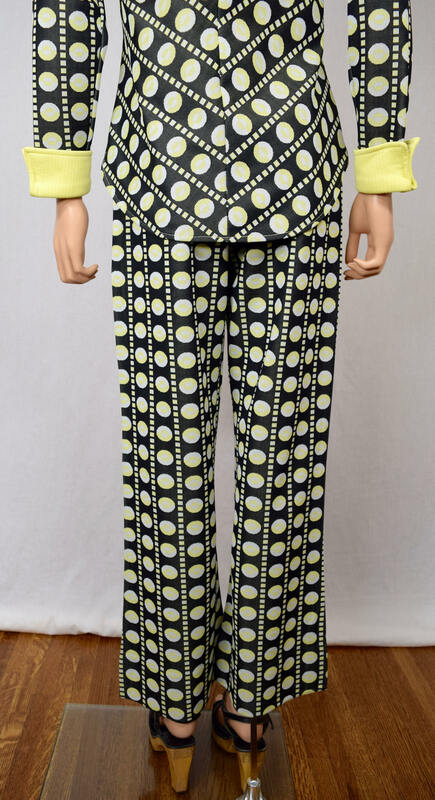 Very mod looking rare and hard to find pant suit. 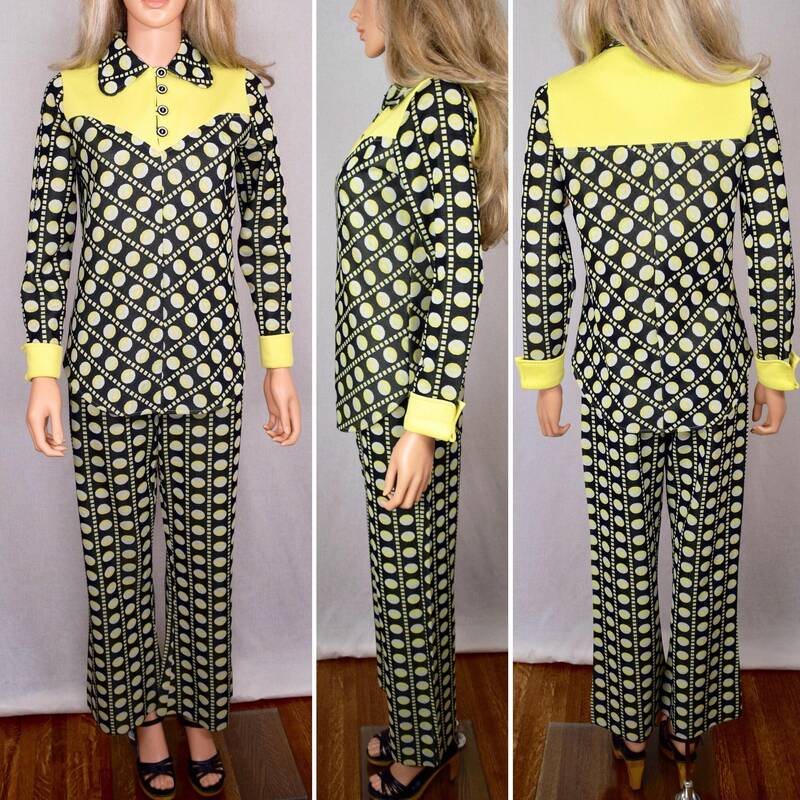 Women didn't wear pants back then, it was frowned upon so finding cool and unique pant suits from the era are rare. 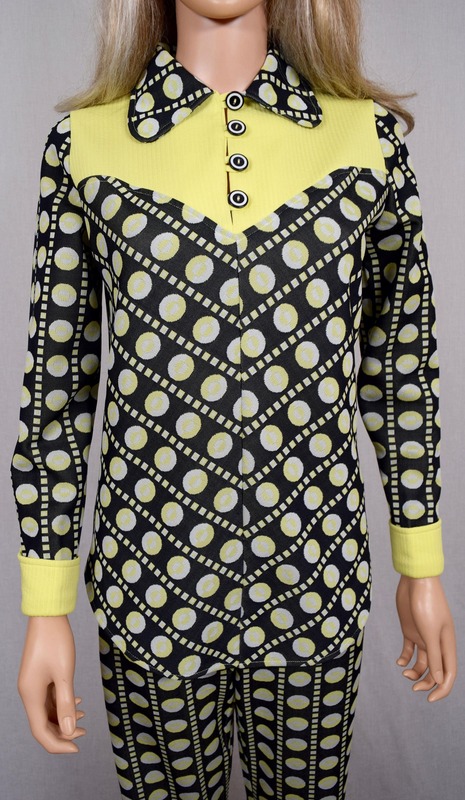 Black and white with a light yellow color - I love the retro color scheme. The buttons on the shirt are super cool. French cuffs that are sewn with no buttons. Has a nice cut to it and made to be worn out, it is too thick to tuck in the pants. The pants have as elastic waistband with stretch. High waisted flared bell bottom styling. In excellent vintage condition with no flaws or condition issues. It is like new! I did notice the pants were taken in at one point and this was professionally done and not done by someone unskilled. They are well tailored and the alterations were done properly or they would have been taken out and made to their original size. Fabric: A nicely weighted double knit polyester.